Bags of Charm offers authentic designer handbags and fashion accessories from luxury brands such as Louis Vuitton, Chanel and Gucci. Bags of Charm is an online boutique offering authentic near new, gently used, vintage and limited edition designer handbags and fashion accessories from luxury brands such as Louis Vuitton, Chanel and Gucci. We are the most trusted provider of high quality and genuine designer bags & accessories in Australia and we have a great collection of authentic preowned Louis Vuitton handbags, luggage and other fashion accessories for you to choose from. 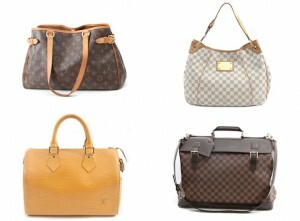 There are so many on-line scams selling preowned designer handbags. They offer you a bag at a bargain price. Sadly we have noticed that the quality of the fake bags are getting better and better and there seems to be a lot more of them around. We have received emails from people telling us about their experience of how they thought that they purchased a real bag but found out that the bag was a fake and they cannot get their money back. We do not want this to be your experience and so we guarantee all bags that are sold are authentic. All bags are examined by two highly experienced authenticators who have seen many real and fake bags. These authenticators look at each bag’s material, colour, size, number of stitching, and many other features. They want you to own a genuine bag that makes you feel confident and beautiful. We aim to make designer bags more available and affordable by offering you genuine pre-owned designer handbags at prices much lower than that of brand new models in retail stores. You can even find that rare vintage, VIP item, limited edition piece not available in store on our website! Designer handbags never go out of style and our preowned designer collection will help you make a statement wherever carry your bag. We want you to look stunning with a lovely bag. We are based in Sydney, Australia. We ship our products worldwide. So, if you are looking to buy absolutely authentic pre-owned luxury designer handbags or fashion accessories at fantastic prices, you’ve come to the right place. We believe in providing value for our customers and customer satisfaction is very important to us. Our products are all genuine and come with a 100% authenticity guarantee. We also believe in serving each customer at a personal level. You can contact our customer service through email. We will respond to you very quickly. Feel free to also provide us feedback on our services so that we can continue to serve you better! To all of you, from all of us at Bags of Charm – Thank you and Happy Shopping!